Petite women have never found dress shopping easy. Shopping for a petite hourglass wedding dress will probably be even more difficult. 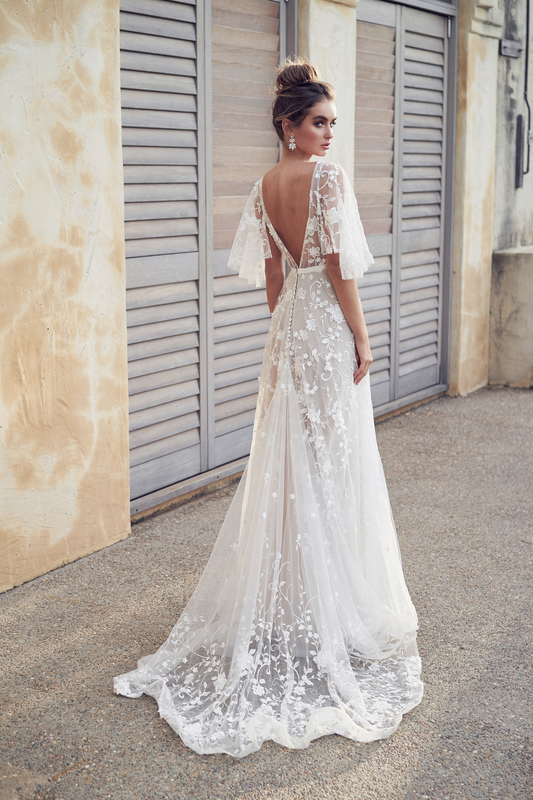 You may even have to go to more than one bridal boutique to find that perfect dress. That’s why it’s so important to learn whether you’re a petite hourglass figure before you start shopping for gowns. Doing so will make things easier on you when you’ve tried on your tenth dress. You have a petite hourglass figure if you have well-balanced hips and shoulders, a full chest and hips, and a defined waist that is smaller than your hips or shoulders. Trumpet-fit gowns fit your form through the hips and torso, then flare out around the middle of your thighs. You get a flattering shape that provides more than enough room for your legs to move. The trumpet dress could become a good choice if you plan on doing a lot of dancing on your wedding day. Avoid this style if you’re shy about showing off your shape. Drop-waist gowns flare out below your waistline around your hips. These types of dresses can range from simply elegant to exquisitely detailed. If you want a natural way to show off your shape, choose drop waist dresses as they create this silhouette easily. Mermaid gowns generally get selected by the most confident brides. These dresses hug your form from your chest all the way down to your knees. At your knees, the dress then flares out. These dresses are called “mermaid” because the gown flares at your skirt, just like the tail of a fish. Select a mermaid gown for your big day if you want more than a little drama in your wedding look.